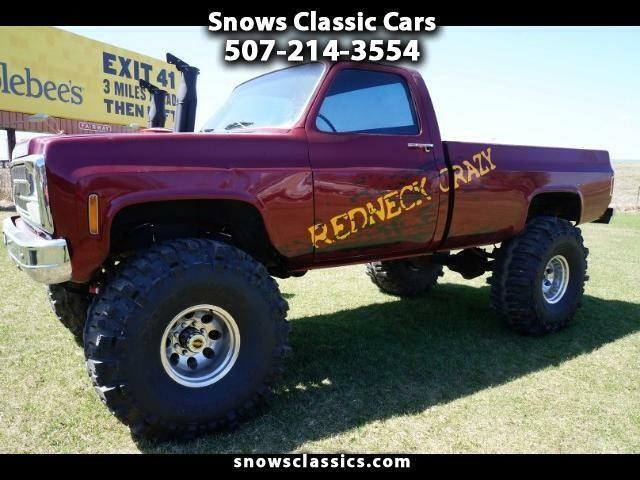 We have a 1980 Chevy Monster Truck , It has a 350 V-8 , 400 Auto Trans , B&M Rachet Shifter , Dana 60 - Front 513 - Rear 538 , Fuel Cell , 38'' TSL Boggers on MT 16'' Rims , Full Turn Lockouts , 12'' Suspension Lift. For more information. Message: Thought you might be interested in this 1980 Chevrolet K20 CST.